Some longer flat sections and gently rolling hills with two optional climbs. Moderate cycling level. DAY 1: We’ll meet in Las Vegas for our rental bike fitting at 3:00pm and then have our orientation and dinner at 5:00pm. If you arrive early, sign up for a spa treatment or take a dip in the hotel's lovely pool. After our dinner together, you can take the hotel's complimentary shuttle to the strip to take in a show or simply walk in this city that never sleep. 0 miles. DAY 2: Start the day on your own with breakfast, and then we’ll shuttle 2 hours to Rhyolite. Now a ghost town, it was once the third largest city in Nevada during the gold boom. It is where we’ll begin our bicycle ride down into Death Valley. We’ll bike through relatively flat desert terrain toward the Funeral Mountains. Then it’s a moderate climb to Gateway Pass before enjoying a long downhill with views of the Panamint Mountains to the west and the valley below. 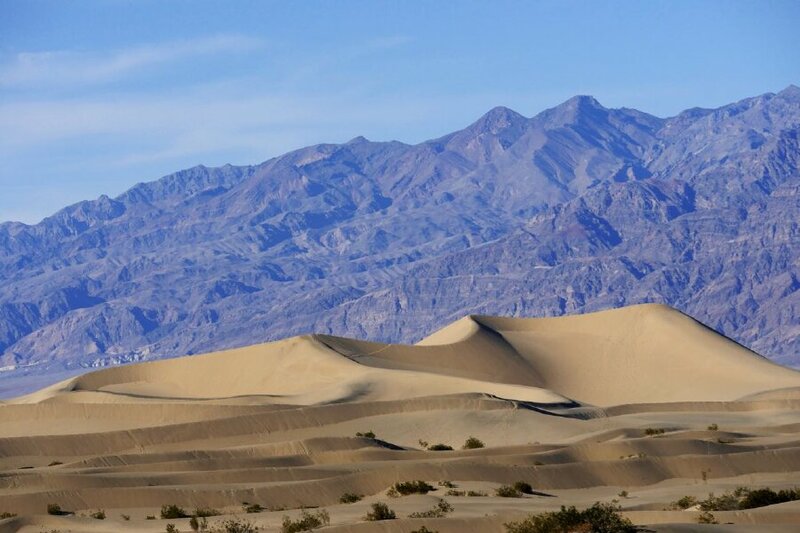 A quick ride past some sand dunes will bring us to our park lodging at Stovepipe Wells and dinner together. 32 miles. DAY 3: Today, we shuttle to the Ubehebe Crater in the northern part of the park. It was created by steam from a volcano hundreds of years ago. You’ll have a chance to walk around its edge or deep into its massive basket. 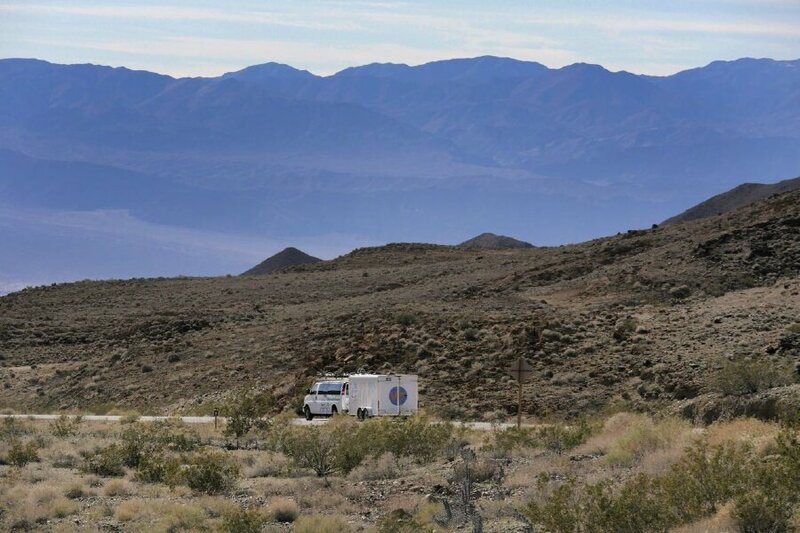 Then we’ll have an easy ride back to Stovepipe Wells. We should be able to see the Great Salt Flats shimmering in the distance at the southern end of the valley. 45 miles. DAY 4: After breakfast, we will hike 2-4 miles into narrow Mosaic Canyon. This beautiful canyon is aptly named. The polished marble walls began as limestone millions of years ago when the area was covered by a warm sea. The addition of magnesium and other sediment and years of pressure and temperature changes altered the rock to the stunning marble it is today. After our hike, we’ll bike through the breathtaking landscape of the badlands. 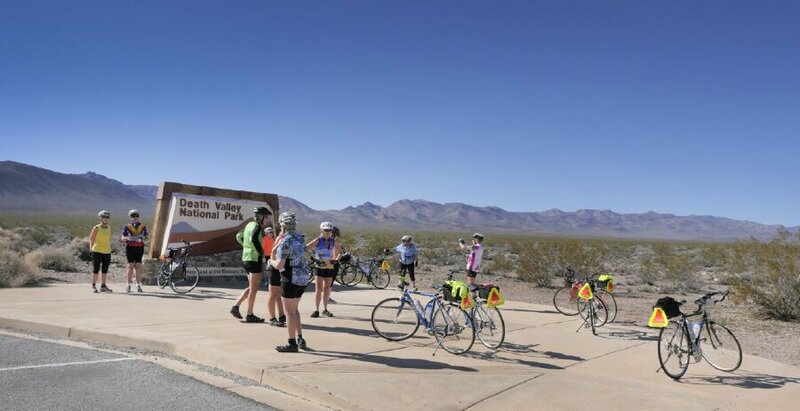 At the end of our ride, you will want to stop at the visitor center and the Borax Museum to learn more about the area’s natural history. A spring-fed, Olympic-size pool and golf course will await us after our cycling this afternoon. 25 or 37 miles. 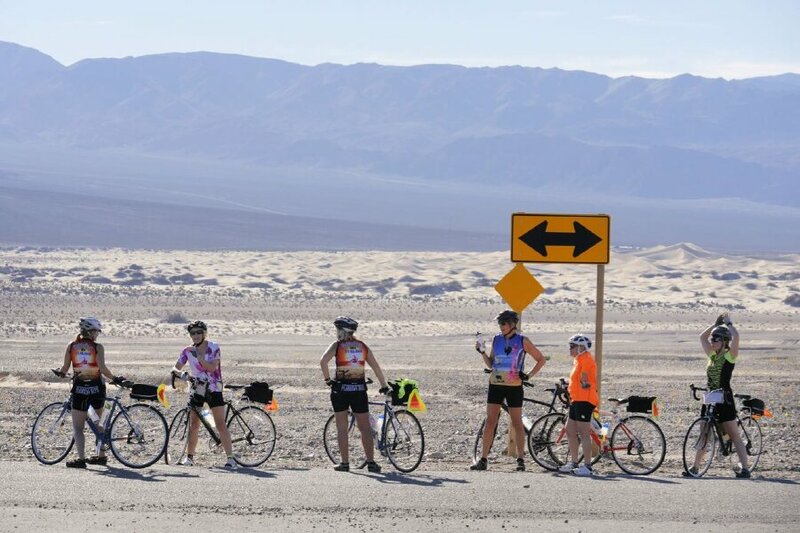 DAY 5: Today offers a nice gentle ride to Badwater, the lowest point in North America. It acquired its name when an early surveyor wrote ”bad water“ on the map when his mule refused to drink the water. You’ll see snow-covered Telescope Peak reflected in the salty water. On the return trip, you can choose to ride the optional challenging terrain along Artist's Drive. Once back at the ranch, we’ll have a picnic lunch. If you’re up for a hike, we’ll take you to Golden Canyon at the trailhead to renowned Zabriskie Point. You can hike through a beautiful canyon of tall sandstone walls and a maze of multicolored badlands before our dinner together tonight. 36 or 41 miles. DAY 6: We end the tour with a gentle but long climb out of the Valley. 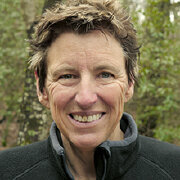 We’ll gain 3,000’ in 19 miles, but then we’re rewarded with 11 miles of gentle descent. For many women, this will be their favorite ride of the week. We’ll say our good-byes to the national park and shuttle back to Las Vegas, arriving at the airport by 5:00pm or our starting hotel by 5:30pm. 30 miles.